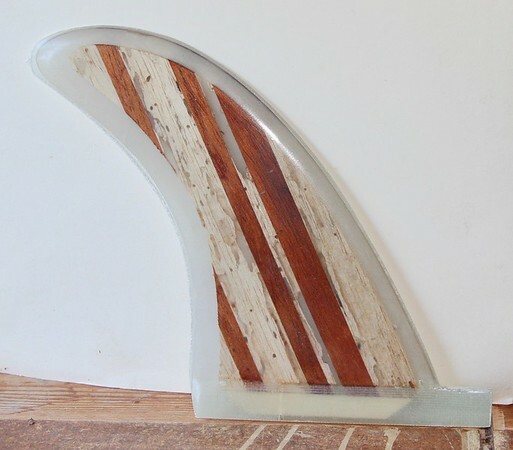 Upcoming fins, , , , ,! Discussion in 'Longboard Surf Buy/Sell/Trade' started by dingpatch, Oct 31, 2018. Finally getting back into it (since August 2017!). SOLD >>. 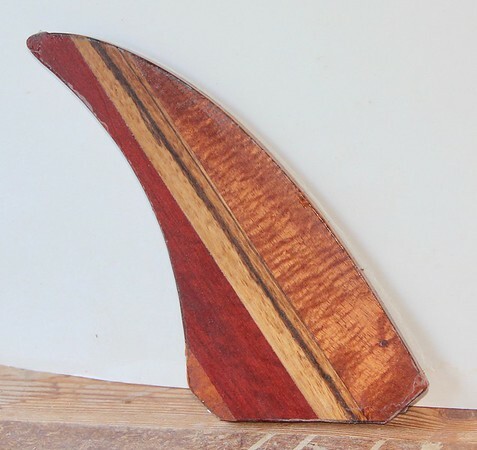 First, there is a 7 inch Bonzer glue-up of Hawaiian Koa, Zebra, and Blood wood (front to back). What color bead do you want? $50 plus mailing. << SOLD. 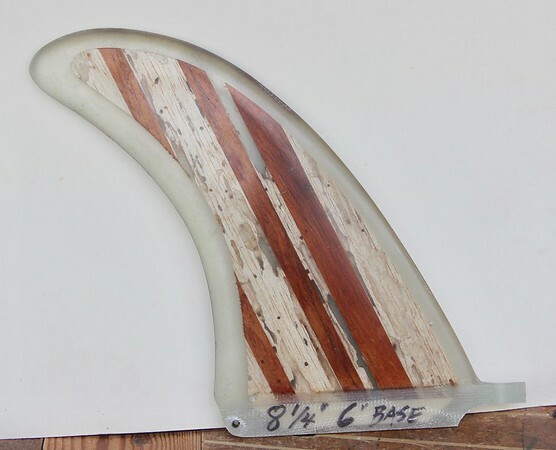 I have another one in works that will yield from a 7 inch Bonzer to another 8 1/4/8 1/2 inch 4C, Bonzer will be $50, the 4C will be $65. What color bead do you want? JMJackFish, jonbiz, Thunder Chicken and 1 other person like this. 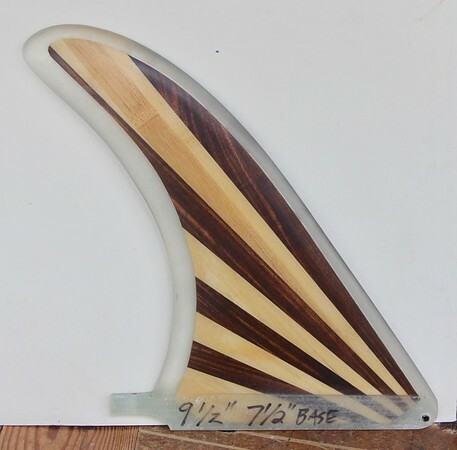 Just an endorsement of Howard's bonzer profile fins - I have two (on a 7'6" 2+1 egg, and a 9'3" 2+1) and they flat out work in addition to being beautiful. Glad you're back in the game. Love the bug eaten balsa ! The "bug eaten" glue-ups were given to me by Martin Jeri. Finished the bug-eaten balsa/cedar 4C'ish one. And another one for an old friend. Been "in work" since August 2017! Driftwood and bamboo 4A type.